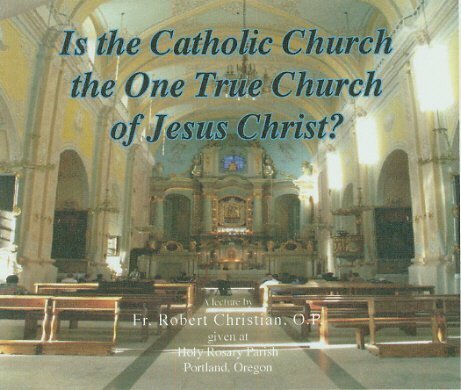 Is the Catholic Church the One True Church of Jesus Christ? A lecture by Fr. Robert Christian, O.P., Assistant Dean of the theological faculty at the Angelicum, the international Dominican university in Rome. Lecture given at Holy Rosary Parish in Portland, Oregon. Four files: Two mp3s for the first talk, and two for the second talk.